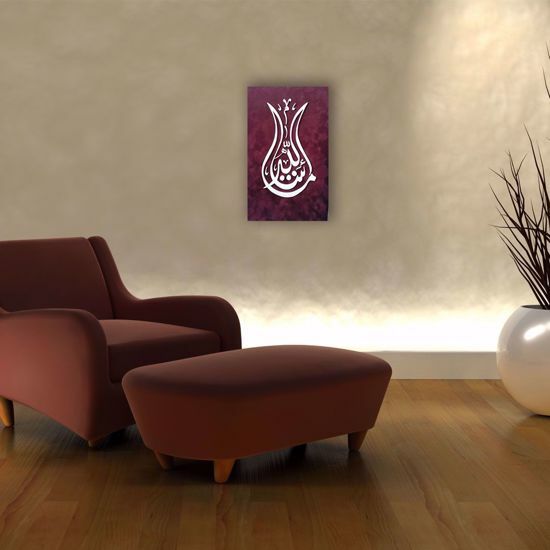 The artist cut the Arabic phrase "Masha'Allah" which means "This is what Allah has willed” or “As The God willed” in the shape of a tulip. "Celi Divani" script is used in the work. 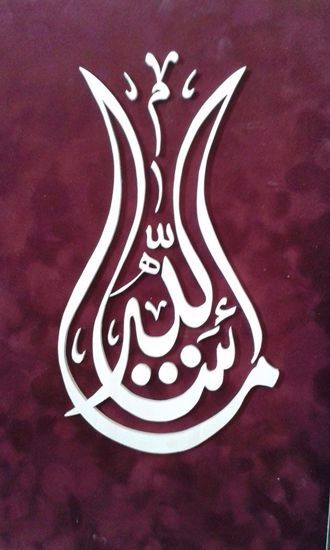 The Arabic phrase Mashallah is a reminder of Allah’s will in all good things and all blessings from Him. Mashallah is generally used to express appreciation, amazement, praise, joy, and gratitude against fine news or a good event that has already occurred. In addition to being a term of praise, it is often used to prevent trouble or "the evil eye". When a positive event has occurred, it is supposed to serve protection against jealousy, envy, ill intentions, and the Evil Eye.